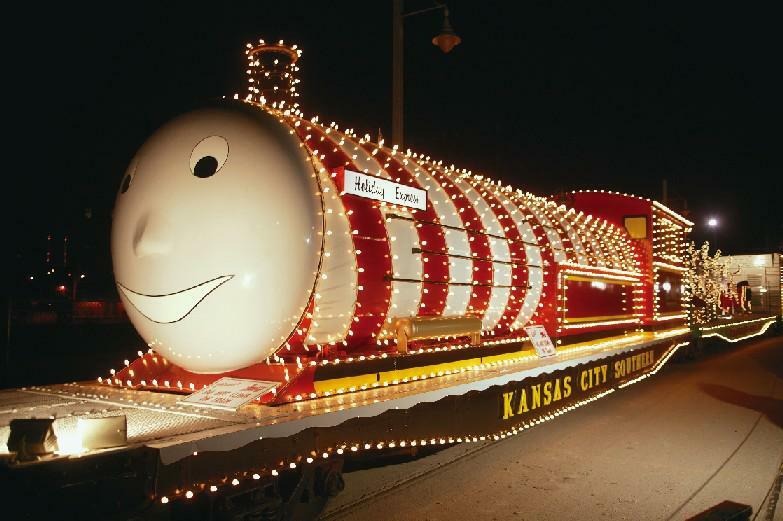 Santa Train came through Blue Springs, MO this year! The public school district in Blue Springs, MO is one of the top districts in the state. The Blue Springs School District received a top score on the Annual Performance Report for 10 years in a row, one of only seven schools in Missouri to receive such an accomplishment. We offer elementary schools, middle schools, a Freshman center and two high schools for students. In addition to the public schools, Blue Springs has a handful of private schools. If you head east on I-70 you’ll see one of the major areas of growth in our town. Adams Dairy Landing has become a booming shopping and dining area for all of Blue Springs and the surrounding areas. Not only do we have the big box stores like Kohls, Target and Michaels, but we also have great outlets and famous restaurants that have recently planted in our area. It’s a great place to spend the afternoon. In addition to Adams Dairy Landing, we also have a charming downtown area, as well as many stores and shops along 7 Hwy and 40 Hwy. Each September, the downtown area lights up with the Blue Springs Fall Festival. It’s a great time to get out and run into neighbors and new friends. Booths line the streets and a special area for kids is full of carnival games and children’s activities. And the highlight among many resident in Blue Springs is the “Timmy Burger.” These juicy burgers bring out many to the festival, and the long line is worth the wait. Blue Springs is located off the major interstate I-70, and just 20 miles east of downtown Kansas City. Having easy highway access is one of the best things about this town. You can get anywhere you need to go within the city in a short amount of time – maybe 20 minutes if traffic is good. Plus, road trips to St. Louis, or Denver, are just hours down the highway. Because Blue Springs is located in Jackson County, MO, we have some great nearby attractions. For the outdoor lovers, Burr Oak Woods off 7 Hwy is a great place to hike and see the beautiful Missouri landscape firsthand. We also are near Fort Osage and Missouri Town, historic landmarks that host reenactments from the days in which they were booming. We also have several nearby lakes for those who enjoy boating, fishing and swimming. These are just a handful of things we love about Blue Springs, MO. The people are nice, the town is affordable, and it’s well-kept. It’s a quaint community with quick access to just about everything. We know many others living in our Blue Springs rentals love to call it home. Ahh.. the engagement news has spread to all your friends and family and now the hustle and bustle of wedding planning begins. But what about a house? Where will the two of you live once you are married? For newlyweds these days, renting is one of the best ideas out there! After the wedding, finding that perfect home can be easier than you think! It is said that the American Dream now starts off by renting a home instead of owning one. With the economy as it is, this makes perfect sense. For newlyweds, renting is a smart option. The greatest part about choosing to rent the first place you live as a newlywed is the chance to really decide where you want to live long-term someday. Instead of rushing into a starter home, renting a home allows you to dream without a hefty mortgage to pay. You and your spouse can get settled in, get grounded and start saving. You can figure out if a double-sink is a must-have for you, or if you want a large kitchen. 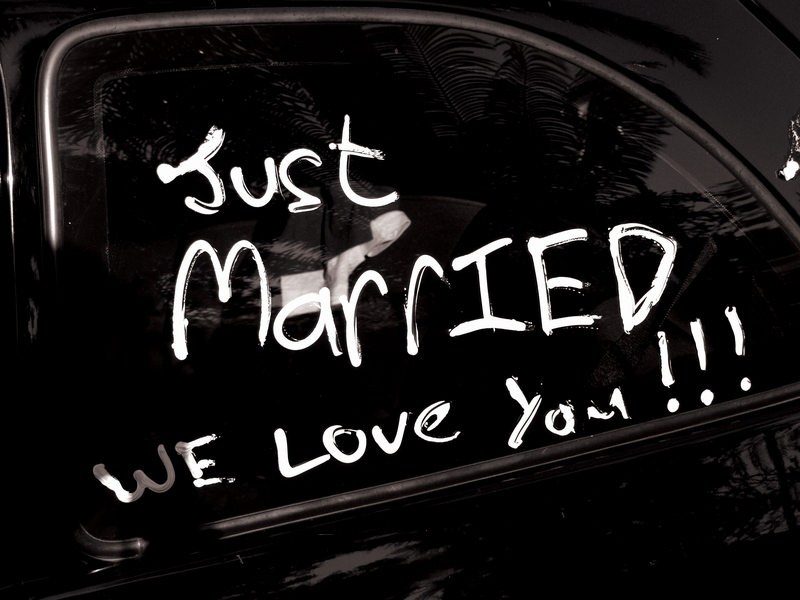 Before you said “I Do,”you thought a lot about your to-be spouse. You didn’t just find any average person off the street and drag them to the altar. The two of you invested in one another, got to know each other and found out if you were made for each other. The same is true when you are looking for a home. Wise people take time to investigate their options before they rush into a decision. Renting a home is a great way for you to fully investigate the options you have for your dream home. Renting can give you a good idea of what you like and don’t like. And it can help you find out what it looks like to be one your own, without all the extra fees. Part of the investigation process is finding out what you can afford and what fees you will have to pay. While owning a home is an investment, it is one that you can be locked into for what seems to be forever. The standard mortgage is 30 years. Thirty years is a long time. On top of a mortgage you will also have to find someone to finance you. Mortgage rates vary daily, and finding a good rate can be hit or miss. And most newlyweds (not all) are new into the careers, and so finding a few years to save money and build up your cash flow is a good idea before you buys. While paying for a mortgage when you own a home, you will also have to pay for any repairs. Anything in the house that breaks is yours to fix. With rental properties the property manager is responsible for attending to repairs. Along with being able to save money, one great highlight is that when you find a great rental property it is really easy to make it feel like home. Just because you do not own the house doesn’t mean you can’t make it your own. Adding your own look and feel to your new place can even create a little excitement in your marriage! Let’s admit it, for most people the first year of marriage is full of unexpected twists and turns, both good and bad. Shared bills and combined finances are one of the greatest tension builders for newlyweds. Why not set up your marriage for success and try renting your first home. It just may surprise you to find out how much you really like it! Whether you own your home or live in a rental property, a clean kitchen is a must. Keeping the kitchen clean is the number one way to prevent molds, unwanted guests (i.e. ants and mice), and every day stress! I don’t know about you, but in my home, the kitchen is usually the place to be. But after the family is done eating and hanging out, one person is always stuck with the task of cleaning the entire kitchen. That being said, I have found that putting together a system to clean your kitchen saves time and stress and doesn’t leave one person with the entire mess. Instead of looking at the entire kitchen and feeling overwhelmed, break the kitchen up into three separate parts and then set a game plan. Start with the kitchen sink. The sink is the center of the kitchen. If you have a sink full of dirty dishes you are more likely to want to eat out then create a new meal with more dishes to clean. 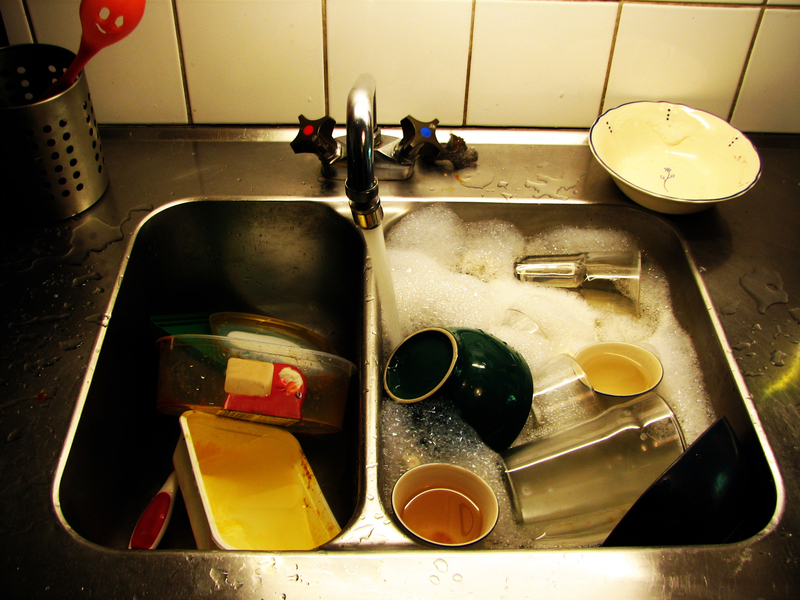 Not only will keeping the kitchen sink clean help you feel more efficient, it can also save you from nasty bacteria. Did you know that if not properly cleaned, more bacteria can grow in or around your kitchen sink than in the toilet? Grossed out yet? I sure am! The floors and counter tops in your kitchen should be cleaned very regularly. Just like the sink, these places in your kitchen are magnets for bacteria. And if not cleaned, can also create an inviting space for rodents or ants. Luckily floors and counter tops are very easy to clean. You can even use home products such as diluted bleach or diluted vinegar to spray down your counter tops to prevent bacteria. For floors just a good handy broom and a bucket of soapy water will do the trick. When mopping be sure to start on one end of the kitchen and then work backward toward the entrance so that the floor remains untouched until it dries. Products like Swiffers and wet floor cleaners have made mopping much easier these days, too! Your refrigerator, microwave and oven all need to be scrubbed down too! Scrubbing shouldn’t be that difficult if you are in a good rental home or have bought your own new appliances because there shouldn’t be that much to scrub initially. When you do start to really scrub, be sure to use safe cleaning products for each individual appliance. What is used in the oven, might not be safe for the fridge. Appliances should be wiped down after each use, but should also have a deep cleaning regularly. While keeping your kitchen tidy will help make life more enjoyable, you should pick at least one day a month to do some serious deep cleaning. Deep cleaning is just as important as keeping your kitchen tidy. There are thousands upon thousands of germs that can pile up in your kitchen. Plus deep cleaning will really help make your appliances last longer. Do a quick fridge sweep one day a week to discard any expired or moldy objects. Use a fresh dish towel every time you do dishes to eliminate bacteria. Assign a family member to sweep every other day and one to mop once a week. While cooking, clean as you go along. If you take something out of the fridge put it back as soon as you are done. Wipe down counter tops immediately following a meal. Don’t allow a mess to stay as-is. Empty the trash as soon as it is full or if it contains potentially smelly foods. It is a guarantee that a clean kitchen equals a more stress-free you! So next time you are tempted to leave the pile of dishes in the sink after dinner, just remember that small steps now, save on big stresses later. So you’re looking for a rental home! If you’ve never rented before, or been out of the game for a while, here are a few things we’d suggest you look at when searching for a new home. We’ve been in the landlord business a long time and seen the good, bad and ugly when it comes to rental properties around Kansas City. We offer the best of the best, and want to make sure you find that in your new home. Here’s what we suggest you look for when searching for a rental house or apartment in the Kansas City area. – Is the rental property clean? You don’t have to settle for cleanliness to get an affordable rental property. Sure, there are some out there that are the cheapest on the list, but have not been cleaned nor well-maintained in years. There are others that are brand new, but cost just as much as a mortgage if not more. There are some great finds out there where you can find a rental home that has been cleaned and well-kept. It might not be the newest, fanciest apartment in town – but if it’s older and still clean, it will probably fit your budget and give you just what you need. – Is the management responsive? If you call on a rental property but do not receive a return call or prompt replies on your questions, that’s a good indication of how things might work once you’re a tenant. Look for a landlord who quickly responds to your calls or emails. This will indicate that once you’ve moved in, they’ll also respond to your service requests. – What are some of the special policies? We know there’s dog and cat lovers out there, but in our case, our no-pet policy allows us to keep our rental properties clean and in-tact. We also have a policy that does not allow for storage of large vehicles (like boats, ATVs) on the property or in the driveway. If you’re looking for someplace that will be nicely kept, ask about special policies like this. – What are the neighbors like? Drive by the rental property at different times of the night and day to see the neighborhood. If you have kids, you might want a hustling and bustling neighborhood with lots of activity. Or, if you are looking for peace and quiet, you want the opposite. You can never guarantee your neighbors (when you rent OR buy), but at least you can get an idea of what to expect when you move in. – What are your plans for the year? The nice thing about renting is that typically the rental agreement has a short-term (especially as opposed to say a 30-year mortgage). But, before you land on a single-bedroom apartment, consider your plans. Expanding family, hosting visitors – that kind of stuff will all come into play when you need to find a rental home to fit you and your lifestyle. You’ll be agreeing to stay there for at least a year, so make sure that fits your plans. You’re in the market for a rental home! Congratulations! Finding a place of your own is a great feeling. We often come across renters who don’t know what they’ll need during the application process. Because we take very good care of our properties for rent in Kansas City, we have a thorough application process. This ensures that we’ll have good residents in our rental homes. And for you – that you’ll have trustworthy neighbors. If you’re getting your papers in order, here’s a quick cheat sheet on what we need in order for you to apply to rent on of our Kansas City homes. Please download the forms to apply from our website. We charge a $30 application fee for each applicant, which must be paid before we process the application. This fee is non-refundable. We will request a copy of your driver’s license, phone numbers and income sources when you apply to live in one of our properties. If you’re self-employed, we’ll need the last 2 year’s income tax returns to verify your income. We’ll need to know what you drive – and any other vehicles you plan on having at your place like boats, ATVs, etc. No unlicensed nor inoperable vehicles are permitted at this time. You will qualify based on your income, credit history and rental history (or home ownership.) We require that applicants earn a minimum of three (3) times the rent to live in one of our Kansas City homes for rent. If you’re approved to live in one of our homes, the security deposit is required within three (3) business days. We won’t remove the open property from the market until the security deposit has successfully been processed. We can’t wait for you to find your home sweet home! 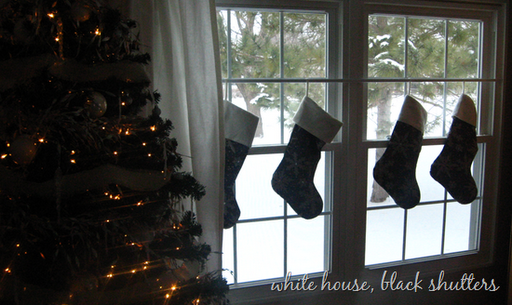 And the stockings were hung with care…. These have become really popular over the years. Decorative stocking holders can sit atop your mantle, and require no nails and hammers. They’re great (as long as you don’t have young children who could possibly pull them down and get injured.) Stores like Hobby Lobby even run Christmas decor at 50% off sales through December, so you can get one that fits your style, at a great price. We’ve talked about the great Command adhesive hooks for hanging pictures on your rental property walls before – and they can really help out with your Christmas decorations, too. Command makes several hooks that can hold even up to 5 pounds, so go ahead and fill those stockings! This line of products offers more decorative options for hanging your stockings if you don’t want to use a plastic hook. They have sheik metal ones, as well as ones that look like candy canes. If you’re super crafty (or have a big family and can’t afford stocking holders for each person) – check out this idea on how to make your own stocking holder for less than $2! Great idea! So, if you find yourself in an apartment or rental home WITHOUT a fireplace and aren’t sure where to hang your stockings, you can get creative! If you have a decorative table in your entry way, or even a TV cabinet, you can hang them off of there. The non-stick adhesive Command hooks can do a great job here, too. Some people hang them directly on the wall, others have used the ledge of a bar, fish tanks, chair rails, etc. You use what you have! Another idea is to hang stockings off of a curtain rod, to display them in the window, if you don’t have a mantle.You can hang them high, or even suspend them to the middle of the window. A fun way to decorate with stockings if you don’t have a mantle is to hang the off the back of each person’s chair around the table. This can be used with some ribbon so you don’t damage the chairs. 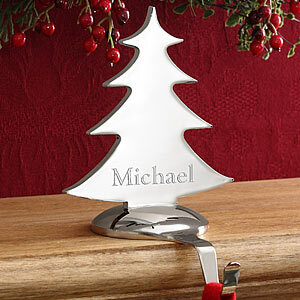 It’s even a fun way to add a unique “place card” to each person’s spot throughout the holidays. Last, you can always hang the stockings on bedroom doors. You can hang them throughout the month to show anticipation – or you can even leave them on the door handle the night after Santa visits so it’s a early morning Christmas surprise! Stain in the carpet? Don't panic. Here are some tips. So say you’re renting a home and then it happens. The sippy cup of grape juice explodes. Your husband tracks in mud. Your wife’s hosting a dinner party and drops the plate of bruschetta. Or even just plain and simple, you accidentally stain the carpet. Especially when you’re in a rental home, this can be frightening since a safety deposit is at stake. But, I try to tell all of my tenants in my Blue Springs homes for rent to not panic, and we’ll find a solution. If you’re looking for a few things to try on removing a stain, here are a few suggestions. I’m sure there are plenty other ideas out there, and what I’d say as a landlord is to be careful with what you try. (See Real Simple’s Carpet Stain Solutions, or the Stain Removal Guide from This Old House.) But, when you go for it, always try a tiny spot first to make sure the solution is working (and not making the stain worse.) And always blot – don’t rub. Be careful with what you try – sure you can bleach out a blood stain on the carpet, but the you leave a nice bleached area, which isn’t good either. Here is some trusted advice, much of it from the Better Homes and Gardens ‘Making A Home.‘ Check out the book for a full guide on how to clean, fix, decorate and more. If your rust stain is fresh (and not old and dry), you can try to remove the stain by creating a solution of 1 cup white vinegar to 2 cups water. If the stain is dry, it will need to be professionally cleaned and treated. We know Midwest Vacuums professional carpet cleaning does a good job. It happens to everyone at some point, so don’t panic. But act fast. Put some club soda in a spray bottle and spray over the spilled liquid. Blot. Repeat, and then blot again. Do this until all of the juice is soaked up. 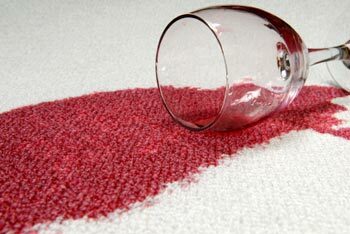 If you have a blood stain on the carpet, you must treat it immediately. Use club soda or cold water, spray over the stain, and blot (don’t rub) with a cloth. Repeat. Create a detergent stain-removal formula yourself by mixing 1 teaspoon of a liquid dish detergent into a quart of warm water, and add 1/4 teaspoon of white vinegar. Spray this over the tomato stain, and let it sit at least 10 minutes. Rinse with cold water. Use the detergent solution recommended above (with tomato stains). If the stain is still there, make a vinegar solution (1 cup white vinegar to 2 cups water), sponge and blot. Those are just a few helpful hips. You can also always try some of the carpet cleaning sprays, such as Resolve, but always make sure to test the spot first. See the ‘Making A Home’ book for more info on removing grease and oil, coffee, butter, gum, paint and tar. Because of our no-pet policy, our tenants avoid dealing with pet stains.And if you ever have any questions about carpet stains or renting a house in the Kansas City area, give us a call! Temperatures went from about 60 degrees to 40 degrees the other day. Leaves blanket the lawns. And talk of the first frost, and even snow flurries fills the radio airwaves. Cold weather season is here, Kansas City! Some of the winter weather elements may not be so fun to deal with (we don’t know anyone who LOVE scraping ice off their windshields), one fun part of winter is bundling up and staying cozy while at home in Kansas City. In the spirit of getting ready for cooler weather and staying inside, here are some things we’re looking forward to that help us stay warm while at home! 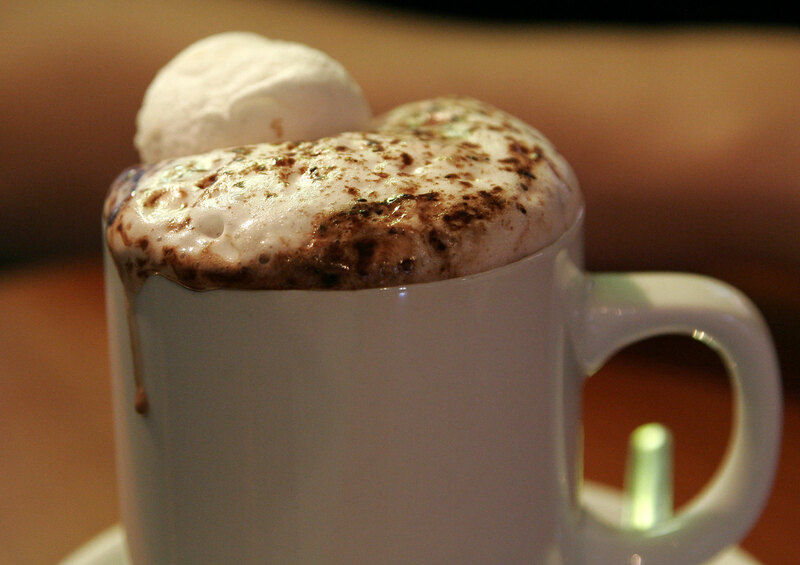 Warm up with some great hot chocolate! For anyone in some of our Blue Springs Rental Homes, check out Scooters Coffee House off 7 Hwy for a great cup of hot coffee – or hot chocolate! Everyone in one of our Kansas City Rental Homes is pretty close to the As Seen on TV Store in Independence Center, where you can pick one up just in time for winter! 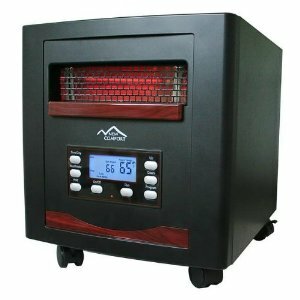 Infrared space heaters hit the market by storm a few years ago, and are a great, safe way to keep your rooms warm without hiking up utility bills. Just make sure if you use a space heater, follow the safety instructions. Oh – and to be on the safe side – please have renters insurance. Many of our Blue Springs, MO rental properties come with fireplaces! 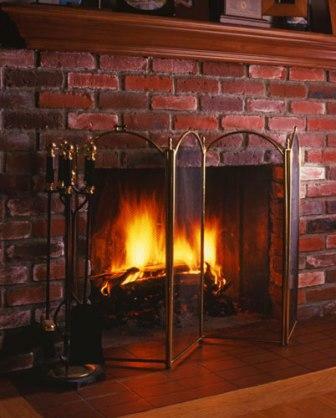 Gather some wood and fireplace tools, and heat up next to the warmth and glow of a cozy fire. Those are some of a few things we’re looking forward to about wintertime. If you’re looking for a house to rent in the Blue Springs area, view our available properties! We have move-in ready town homes for rent and apartments for rent that can get you settled in your new home before the snow hits! Each year, the KC Plaza hosts a lighting ceremony the night of Thanksgiving. This year, it’s the 82nd celebration of the Plaza lights! You can tune in and watch the ceremony on channel 41 (KSHB) this year, or head on down to the Plaza and watch it yourself! Special guest Eric Stonestreet … or “Cam” from Modern Family will be turning on the lights. The ceremony runs from 6-7pm. We’ve got amazing stores in Blue Springs, perfect for Black Friday shopping! From Target, Michaels, Kohls, Gap Factory Outlet, Maurices and more – we have everything you need to get your Christmas list crossed off! Plus, dine at Chipotle, Chick-fil-A, Planet Sub or another fun restaurant while you’re out. Blue Springs, MO has great shopping, and some great deals to be found! If you don’t make it down to the Plaza on the evening of Thanksgiving, you’re in luck! The next day, Fri. Nov. 25, is the Mayor’s Christmas Tree lighting at Crown Center. Grab some hot chocolate and join in with the crowd as the sky lights up with twinkling flow from the 100-foot tree. The Missouri Mavericks are in their 3rd season and playing at the Independence Events Center – just minutes away for some our Kansas City Rental homes! They play on Fri., Nov 25. Nothing puts you in the mood for Christmas like a little ice hockey! Each year, this is a favorite among Kansas City residents, who have a fierce rivalry when it comes to MU vs. KU. Attend the game at Arrowhead this year on Sat., Nov. 26 where you’ll watch the 5th annual head-to-head match-up. After all of the Big 10 controversy this year, this is guaranteed to be a great game! Oh joy, the neighbor kid got a drum set for Christmas! Or, yes – the family across the street has a barking dog. As a rental property manager in Blue Springs, MO, I’ve heard and seen it all. And if you’re out there trying to figure out how to talk to your neighbors about a noise complaint without ruining a relationship, I can help. I’ve rented properties in the Kansas City area for a long time. And I totally understand where you’re coming from. It is difficult when your neighbors are loud and noisy. Especially when you are always mindful and courteous of your noise levels and try to respect their space. But one thing I try to encourage each tenant of mine to do is be patient, understanding, and kind. In doing so, your neighbors will more than likely respond positively to your complaints. When I first hear of a complaint from my tenants, I try to encourage them to be patient with the situation. Next door neighbors have friends over last night and get too loud? Well, when was the last time you had a group of people over? And was there a chance you were too loud? It’s likely that at some point, each neighbor will cause another neighbor annoyance. Sure, there are rare exceptions – but in many of my rental properties, the neighborhood is full of active families who have a lot going on. So, before you jump up and call the landlord, be mindful of how you’d want them to respond if the tables were turned. And if you do approach them, be kind and gracious – not mean and cranky. Another important thing to remember when you rent is that you have the opportunity to get to know new friends and build new relationships. If you view your neighbors as those who you can develop relationships with, you’ll find you have more patience and understanding with them. 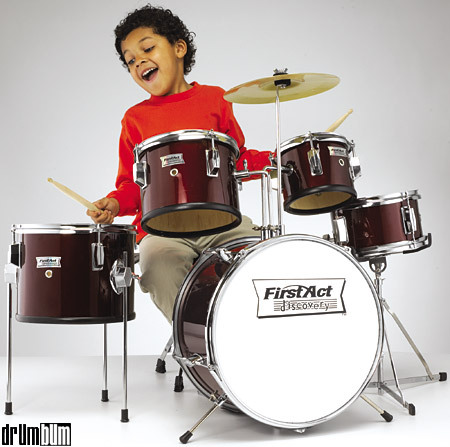 The next door kid got a drum set for Christmas because his Dad is a musician and they spend time jamming together. The woman across the street has a dog because she’s recently widowed and needs company. If you take the time to get to know who you live next to, you’ll find that you have more understanding of their circumstance. No, it won’t make the dog stop barking at 3am, but at least you won’t get so mad about it when you realize why the dog is there in the first place. I’m not saying there’s never a time to get the landlord involved. If you’re next to a tenant who hosts loud, crazy parties frequently – it’s time to call. If there’s a constant dog barking all night – for most nights – there’s a city-wide noise violation that is being broken. And certainly, if you hear noises that raise your concerns about the safety in a neighbor’s house, tell someone and raise concerns. As a landlord, I’m here to help my tenants, keep them safe, and keep my property safe. If you feel something is violating that – please tell me. But if it’s something that’s not as pressing or urgent, try to have patience, find understanding and consider investing in some ear plugs.